“Country roads, take me home, to place where I belong” These are the lyrics that you can hear the men’s team of the Portland Rugby Club singing as loud as they can after a Saturday filled with rugby. This might not be a typical rugby song that most ruggers know, but it is their song. It is one of the many traditions that the team has tried to create in their recent history. Portland RFC has been around since 1979. 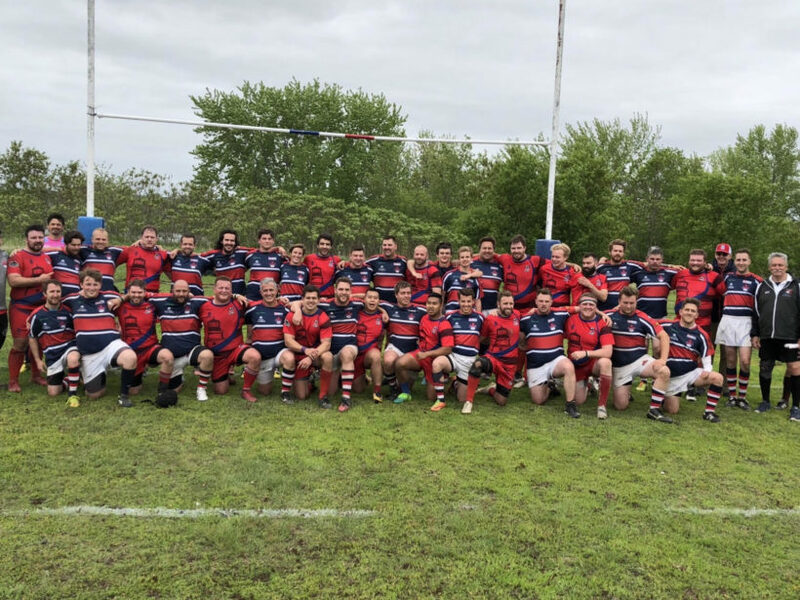 It was the first and is the biggest rugby team in Maine, but as time to goes on the team has evolved and made their own twist on rugby traditions that suit the new school. Along with their song, the team recognizes the man of the match for both sides and then pins them against each other in a drinking contest to see who is better in drinking beer. Saturdays are full of competitions and fun against other teams, but during the week it is all about the team. After practices, the team goes to the local bar, Gritty’s, to unwind and enjoy each other’s company before going home. It is traditions like these that got Jim Lamarca to stay with the team. Lamarca is the tight head for the team and has started for the past three seasons, without playing a minute of rugby before. 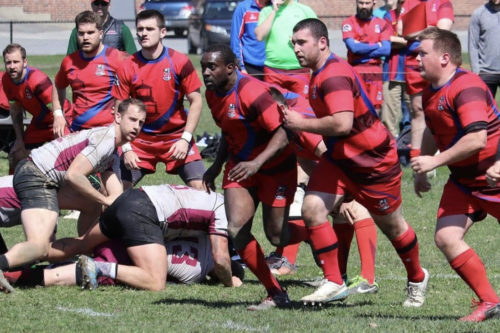 Lamarca said that he did not want to play anymore team sports after having a hard tenure at the his high school with winning, but when Lamarca joined rugby he learned that it was more than just about winning. Lamarca went on to talk about how large rugby culture is and that it was just in his backyard. The team had such an impact on him that everyone in his wedding was a rugger who he had only met just a year ago. He is not the only person who felt the loving embrace of the rugby community either. The bar that the, team goes to is owned by a rugby player that way the team can have its socials on Saturday. Coach Tom Loving said that though it is not a concrete place, it is nice to have somewhere to go for our socials. This team has been bringing rugby to the City of Portland for almost 50 years with tours planned and other roadtrips, but rugby is more than just that. It is going through with a group of people who become your family before you even play against someone else. It is going out together to have a good time. This is what rugby tradition is all about.